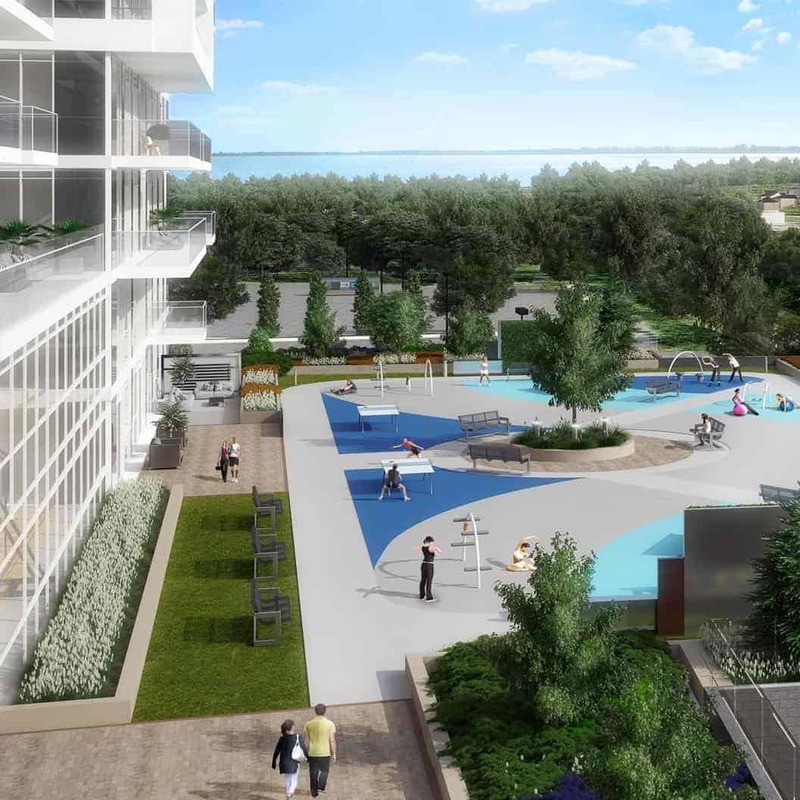 Eight Cedarland (Vendome Phase 2) is a new high-rise Condo development by H&W Development Corp. Prices estimated to be starting from $400,000 and will feature 530 units. Eight Cedarland is nearby Markham Civic Centre and the Unionville GO. The project is estimated to be completed in 2023 and will be located at 8 Cedarland Drive in the Unionville neighborhood in Markham. Centro Square Condos is a new condo project by Liberty Development Corporation. Prices starting from $200,000 to $700,000, The project carries a total of 652 suites at 33 storeys. Centro Square will be completed in 2016 and will be currently under construction at 7777 Weston Rd. Centro Square Condos located in Vaughan, Ontario are one of the best spots where you could invest in the Greater Toronto Area. Developed by the best builders in the business, this condominium is located in one of the most promising places in Canada. Designed by Kirkor Architects and developed by Liberty Development Corporation, you can find a number of units based on your needs. Centro Square Condos were built in order for people to have a great experience of luxury right in the middle of the city. The condominium was built with fitness centers and many other types of amenities for the tenants to enjoy. Why It is Practical to Invest on Centro Square Condos? Centro Square Condominiums have a starting price of $500 per square feet. With 654 units available with the three buildings of 33, 30 and 10 floors, you can have a variety of choices depending on the budget that you have. In terms of different things to expect in the neighborhood, Vaughan is a great spot where you can enjoy the wide range of booming businesses. Found on 7777 Weston Rd., Centro Square Condos offer access to public transport and a number of places to visit nearby. With a launch targeted in September of 2012, you can purchase a unit and maximize modern city living at its finest with the Centro Square Condos. The Greater Toronto Area is known for its appreciating real estate properties from houses to condos. The latter is gaining popularity because of the different types of people with low budgets moving into the area. With appreciation of properties and the high price of houses, it tends to make people lean towards condos for modern city living. Pre-constructed condos can be bought for $700/square foot and you don’t need to travel for long communtes just to reach work, school and other locations in the area. ERA is a new condo development by Pemberton Group. Prices are estimated to be starting at $389,990+ to over $600,000. ERA is estimated to be completed in 2021 and will be located on High Tech Road in Richmond Hill. ERA also has nearby public parks such as Berton Blvd Park and also has transportation options such as Langstaff GO Station. Expo City Condos Phase 2 is the second tower of the popular high-rise Expo City by Cortel Group. Prices starting from $200,000 to $650,000, The project carries an estimated total of 400 suites at 37 storeys. Expo will be completed in 2015 and will be currently under construction at HWY 7 & Creditstone Rd in Vaughan. Common building amenities include but not limited to Terrace, Fitness Centre, Yoga/Pilates Studio, Indoor Pool, Sauna and more. Fontana Condominiums is a new low-rise condo project by H&W Developments. Prices are estimated to be starting from $300,000+ and the project will feature a total of 692 units. Fontana will be completed in 2016 - 2017 and will be located on Clegg Road in Markham. Markham Square is a new condo development by Ideal Developments and ONEPIECE Developments. Prices are estimated to be starting from $300,000+ and has a total of 750 units.Markham Square is estimated to be completed in 2020 and will be located on 28 Main Street Unionville in Markham. Markham Square will also have many different public transportation options availble for the nearby community such as Unionville GO Station. Mobilio Condos is a new high-rise condo development by Menkes Developments Ltd. Prices estimated to be starting from $400,000+. Mobilio Condos is nearby Boyd Conservation Park and the Vaughan Metropolitan Centre Subway. The project is estimated to be completed in 2023 and will be located at Interchange Way and Highway 7 in the Concord neighbourhood in Vaughan. Murals Condos is a new condo development by Forest Green Homes. The project is currently in the planning phase and will be located in the heart of Woodbridge. Details are limited for this estimated low-mid rise community. Forest Green Homes is known for offering unique boutique condos in desirable setting. Located on Hwy and Pine Valley in Vaughan. Pavilia Towers is a new condo development by Times Group Corporation. Prices are estimated to be starting from $597,300 - $1,237,000 and will have a total of 400 units at 36 stories. Pavilia Towers is estimated to be completed in 2021 and will be located at Highway 7 in Markham. Pavilia Towers also has nearby public parks such as Saddle Creek Park and also has transportation options such as Langstaff GO Station. The Residences at Pebble Creek is a new townhouse project by Falconcrest Homes and Graywood Developments. Prices estimated to be starting from the high $700.000's - the project is currently on sale and will be located on Highway 7 West & Pine Valley Drive at Woodbridge, Vaughan. Ravina is a new condo development by Greystar Developments. Prices are estimated to be starting at $400,000+ and has a total of 73 units at 5 stories. Ravina is estimated to be completed in 2021 and will be located on 46 Main Street North in Markham. Ravina also has nearby public parks such as Ceder Valley Park for the community and nearby transportation options such as Markham GO Station. Riverview is a new high-rise condo development by Times Group Corporation. Prices estimated to be starting from $469,900 and will feature 322 units at 19 storeys. Riverview is nearby Carlton Park and the Hwy 7 @ Village Parkway Bus Stop. The project is estimated to be completed in 2021 and will be located at Hwy 7 and Birchmount Rd in the Unionville neighbourhood in Markham. The Watford is a new condo development by The Watford Group. Prices are estimated to be starting at $400,000+. The Watford is estimated to be completed in 2020 and will be located on 162 Main Street Unionville in Markham. The Watford has nearby public parks such as Crosby Park and also has transportation options such as Centennial GO Station. Unionville Gardens is a new condo and townhouse development by Wyview Group. Prices starting from $286,990 to $522,990, the project features 451 units at 8 storeys. Unionville Gardens is estimated to be completed in 2018 and will be located on HWY 7 & Village Parkway, Markham, ON. Varley Condominium Residences is a new Condo by Tribute Communities. Prices are estimated to be starting from $400,000+ and the project will feature a total of 108 units at 4 storeys. Varley Condominium Residences is estimated to be completed in 2018 and will be located on 20 Fred Varley Drive in Markham. Vendôme is a new condo and townhome development by H & W Developments. Prices are estimated to be starting from $400,000+ and will have a total of 535 units. Vendôme is estimated to be completed in 2020 and will be located at 1 Clegg Road in Markham. Vendôme also has nearby public parks such as Milliken Mills Park and also has transportation options such as Unionville GO Station. Vero Condos is a completed condo project by Fernbrook Homes. Prices started from $295,990 to $430,990, The project features a total of 86 suites at 5 storeys, the Boyd Conservation area and Woodbridge Market Lane is just minutes away. Vero has been completed since 2014 at 8302 Islington Avenue in Vaughan. Vista Parc Condos is a new development by Quadcam Developments. Prices starting from $200,000 to $450,000, The project carries a total of 122 suites at 6 storeys. Vista Parc will be completed in 2014 and will be currently under construction at Regional Road 7 & Jersey St in Vaughan. This unique location off of Highway 7 and minutes away from the 400, 407 and 427 gives unsurpassed accessibility to Vista Parc, Located in the mature neighborhood of Woodbridge you are surrounded by the local amenities of superior shopping, entertainment and transit. Vista Parc provides contemporary design in a sophisticated atmosphere. If elegance and location is what you desire Vista Parc in Vaughan is the ideal choice for luxury living.